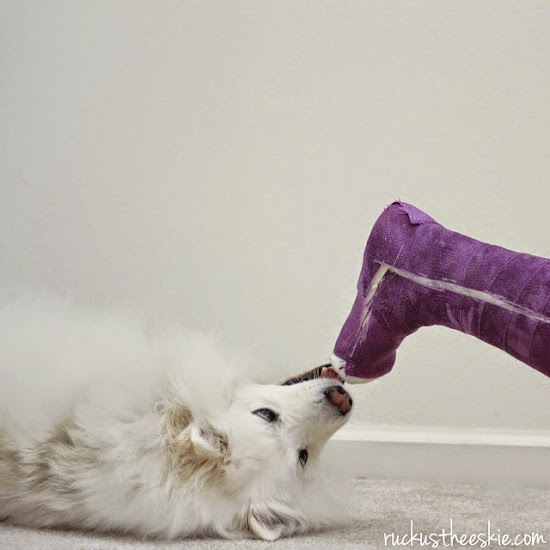 Ruckus the Eskie: Thoughtless Thursday #63: Ruckus is Faced with a Cast...April Fools! Thoughtless Thursday #63: Ruckus is Faced with a Cast...April Fools! Well...it's actually true after all! Oh dear, hope the wearer is OK. Have a tremendous Thursday. Uh uh! Ouch! Hope all is well!! Looks like you are gonna win Ruckus!